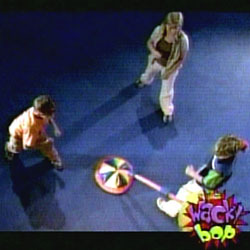 From the makers of Socker Boppers, Wacky Bop is dodge ball on a stick, a whacky bop game that is fun and safe. Leap and jump to miss the ball. A great party game gift. Fun sport toy for kids. Where to buy: Wal-Mart and Toys R Us (but selling fast).